By purchasing any products from Seller you are agreeing completely to all of the subsequent Terms and Conditions. Seller holds the right to alter these terms at any time without notice to Buyer. 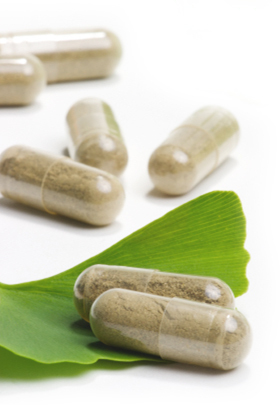 “Seller” pertains to Kratom-Capsules.US, the website Kratom-Capsules.US, and all persons associated with Kratom-Capsules.US; “Buyer” pertains to the individual, company, firm, or other legal entity purchasing the Goods from the Seller for any and all uses, reasons, or purposes; “Goods” pertains to any and all of the material or products which are the subject of the Contract; and “Contract” pertains to an agreement between the Seller and Buyer for the sale of Goods. 1. Age. Goods may be purchased by Buyers over 21 years old only. Buyer agrees at time of purchase that Seller has the right if deemed necessary to require adult signature or other proof of age of Buyer prior to or on date of delivery. 2. Use. Buyer clearly both understands and acknowledges that any and all Goods purchased from Seller are exclusively for scientific research and development and are in no way intended for human consumption under any circumstances. Buyer agrees that any consumption of Goods offered by Seller is an abuse and misuse of said Goods. Buyer will not hold Seller responsible for any consequence or result, whether seen or unforeseen, nor will Buyer hold Seller responsible for any harm or injury incurred from the misuse of said Goods. 3. Regulation and Risk of Loss. Buyer is totally responsible for any and all local laws that pertain to the purchase of Goods. Seller declares the offer of Goods void where the Goods are not allowed by statute, law, or declaration of any type. If Goods are lost during the transportation process to Buyer, due to Buyer negligence to obey all applicable laws, whether local or otherwise, Seller declares the loss of Goods the responsibility of the Buyer. Risk of loss is instantly transferred to Buyer upon purchase of Goods. 4. Personal Information. The billing and shipping information reported to Seller from Buyer are declared by Buyer to be both honest and accurate. Buyer confirms all personal information given to Seller is only Buyer’s information and is not that of a third party individual or entity. 5. Right to Refuse Sale. Seller may refuse sell or service to any person deemed necessary for any reason deemed necessary by Seller. Goods will not be shipped or sold to Buyers in the following countries for any reason whatsoever: Thailand, Bhutan, Australia, Finland, Denmark, Poland, Lithuania, Malaysia, Myanmar (Burma). Goods will also not be shipped to Buyers in the states of Indiana Wisconsin or Tennessee for any reason. 6. Shipping. Seller will make the utmost effort and sincerest attempt to ship Goods to Buyer in the most expeditious manner possible. In the event of delayed shipment, Buyer acknowledges that Seller is not liable and will not be considered responsible for delay. 7. Refunds and Returns: Any and all opened Goods are not eligible for refund or return. If you have an unopened, sealed package or Good you would like to return, you can contact Kratom-Capsules.US for return options. 8. Severability. The validity of these Terms and Conditions is not altered or lessened by the pronouncement of one or more of the terms and conditions legally invalid, illegal, or unenforceable. Each term and condition individually exists on its own merits and shall not be rendered invalid by any change or alteration in the others, regardless of circumstance. 9. Choice of Law and Venue. These Terms and Conditions, as well as any sale of Goods to Buyer, are said to have been both agreed to and have had occurred in the State of North Carolina . Any disputes or clarification of interpretation, and the remedies for enforcement or breach of contract, are to be applied pursuant to and in accordance with the laws of the State of North Carolina. Buyer and Seller agree that all actions or proceedings arising in relation to the sale of any Goods or these Terms and Conditions shall be tried and litigated exclusively in the State or Federal Courts within the State of North Carolina. The Buyer gives up the right to contest exclusive venue by any motion to transfer, motion for forum non-conveniens or any and all related motions. 10. Disclaimer of Liability. The purpose of this Terms and Conditions agreement is to remove any and all liability of the Seller for events where harm or injury resulted from the purchase, use, or misuse of Goods. a. I am over 21. I am an adult under the laws of my State and Country. b. I am in good health, of sound and stable mind and body, and am completely capable of making my decisions and representations. c. LIMITATION AND DISCLAIMER OF WARRANTIES. I clearly understand that all Goods & information collected through my interaction with Seller are provided ‘AS IS.’ Goods come without warranty, expressed or implied. All implied warranties of merchantability, fitness for a particular purpose, are hereby disclaimed. d. Under no circumstances whatsoever will Seller be liable to me or any third party individual or entity for any damages or injury resulting from use, misuse, or improper use of Goods. Neither shall Seller be liable, to me or any third party individual or entity, for actions taken, by me or any third party, resulting from reliance on information or views, verbal or in literature obtained through Seller by any means. Waiver of liability encompasses any and all damages whether incidental, consequential, special, or similar. e. I agree to indemnify and hold harmless both Seller and all other parties involved, including but not limited to their owners, officers, affiliates, associates and employees, for any and all damages resulting from the purchase, use, or misuse of Goods. Seller and all of the related parties previously mentioned shall not be liable under any circumstance or theory whatsoever. f. No circumstance exists where Seller shall be liable for any damages whether direct or indirect, special, incidental, consequential or punitive. g. I HAVE CLEARLY READ AND FULLY UNDERSTAND AND COMPREHEND THESE TERMS AND CONDITIONS, AS WELL AS ANY AND ALL CAUTIONS & WARNINGS, INCLUDING BUT NOT LIMITED TO THE WARNINGS PRINTED ON THE LABEL OR WEBSITE. I hereby agree and state that I will carefully abide by these cautions & warnings. I will also abide by and follow all warnings stated on the website regarding product use. Kratom-Capsules.US is a company based in USA. For those of you in USA USPS Flat rate shipping usually arrives within 2 – 3 days. For those of you in Canada, USPS Flat Rate international shipping usually arrives within 5 days. For those of you on the East Coast, USPS Flat Rate shipping typically arrives in approximately two days. For those of you in the Midwest, USPS Flat Rate shipping typically arrives in approximately two to three days. For those of you on the West Coast, USPS Flat Rate shipping typically arrives in approximately three days. All approximations exclude Sundays and federal holidays, as USPS is closed on Sundays and federal holidays. These are only approximations for your convenience; these are not delivery time guarantees. Kratom-Capsules.US can only guarantee shipping from our facility. Once your order leaves our facility, we can no longer be held responsible for its destination arrival time. We will, however, do everything in our power to assist you in ensuring your package arrives successfully. All orders placed Monday through Friday will be shipped same day provided the order is placed before 2:00pm EST and weather permitting. All orders placed on Sunday will be shipped Monday, as USPS and FedEx are closed on Sundays. Please be mindful of federal holidays when USPS and FedEx may be closed. Orders placed on these days will be shipped the following business day. For customers choosing FedEx shipping: FedEx Overnight shipping policy states that orders will arrive in one “business” day from the time of shipment. For example, an order placed on Friday before 2:00pm, using FedEx Overnight shipping, will not arrive until Monday. FedEx Second Day shipping policy states that orders will arrive in two “business” days from the time of shipment. For example, an order placed on Friday before 2:00pm EST, using FedEx Second Day shipping, will not arrive until Tuesday. Also, for example, an order placed after 2:00pm EST on a Thursday using FedEx Second Day Shipping will not arrive until Tuesday. Please be mindful of our 2:00pm EST same day shipment policy when ordering. If you have any questions about which form of shipping to choose, please contact us for clarification. We will be happy to help! For customers choosing USPS shipping: USPS Express Mail and Priority Mail shipping policy states that delivery time will vary based upon the origin and destination zip codes. You can check your estimated delivery time on the USPS website.